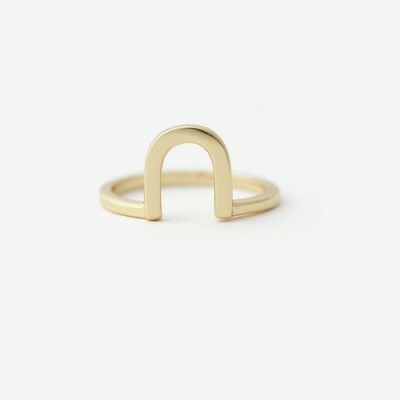 A modernized take on the traditional horseshoe motif. It's updated here with sleek and slightly elongated shape. Wear this stacked with other pieces or double up for additional impact.